A little about myself is assignment 10 and it describes where i am from, where i went to school, what hobbies i have and my two favourite websites. 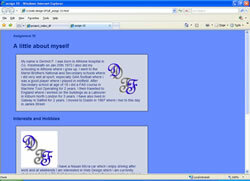 A video about Dave Smith is a assignment i did in Drama class. It is about a professional footballer who is married to Sonya and have a baby boy. Dave is a gambler and Sonya wants to buy a house in the Cannaries. 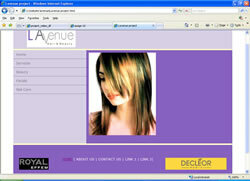 L'avenue is a website i created for a hairdresser in Blanchardstown and it was commissioned by R.Perez. The Tudors. I did some acting as a extra for The Tudors so i used it as a project for assignment 18. I wrote a piece about Henry Cavill, Natalie Dormer and Johnathan Rhys Meyers.